An in-house assessment by the ASEAN Civil Society Conference/ASEAN Peoples’ Forum (ACSC/APF) concluded that in the ten years of engagement with the Association of Southeast Asian Nations (ASEAN) from 2005 to 2015, “individual ASEAN member countries have consistently resisted and vacillated with regards civil society participation and engagement.” The 2016 ACSC/APF Statement further scored the “prevailing silence and lack of attention and response to the observations and recommendations raised in all previous ACSC/APF Statements.” In view of these events, new directions and new modes for civil society engagement with ASEAN are urgently needed. 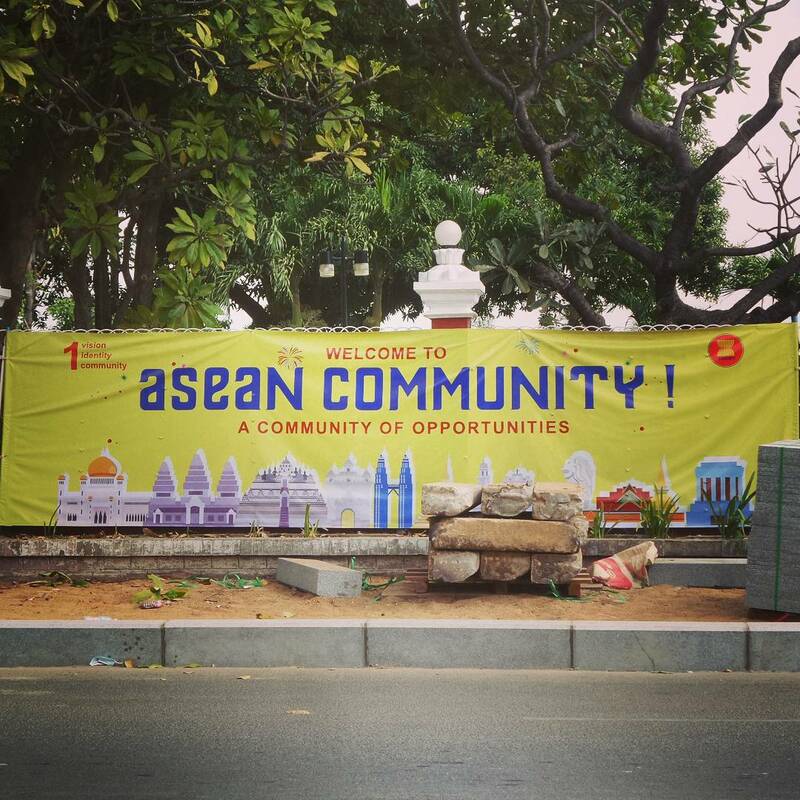 This article recommends a radical restructuring of civil society engagement with ASEAN in order to organize a people-to-people regional integration process that is independent of the state and the corporate-biased ASEAN model. 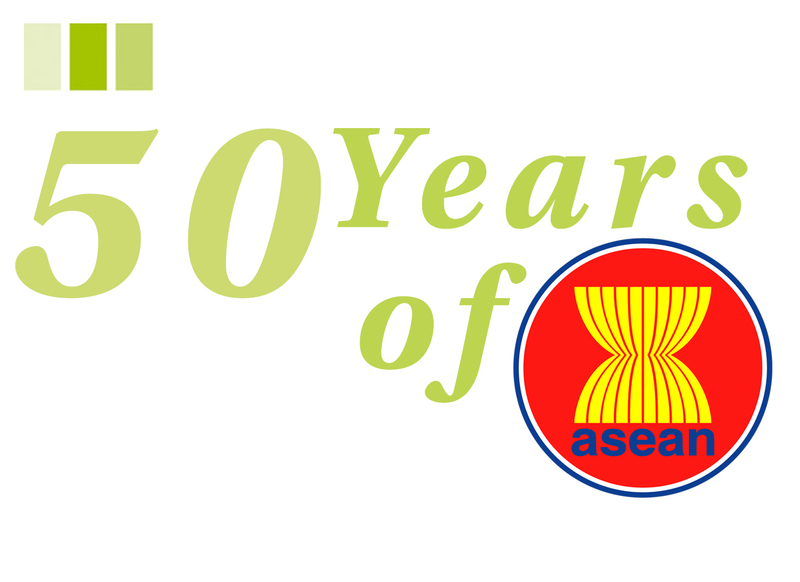 The year 2017 marks the fiftieth year of ASEAN’S founding with the Philippines serving as the host country. For over a decade, civil society organizations (CSOs) and people’s organizations across the region have been challenging the regional organization to address issues and concerns that affect the citizens of Southeast Asia. Among the more prominent CSO concerns are: (1) lack of popular participation in ASEAN decision-making; (2) rising inequalities between and among member countries; (3) weakening democracies and the prevalence of authoritarian governing modes; (4) human rights deficits and the absence of sanctions against rogue regimes; (5) dominance of an elite-centered development strategy and the resulting failure to attain inclusive growth; (6) competition rather than complementarity in trade and investment relations; (7) lack of a regional identity and unity; (8) weak social protection for all residents and migrants; and (9) ongoing inequality between genders. The main forum for civil society engagement with the ASEAN process is the ASEAN Civil Society Conference/ASEAN Peoples’ Forum (ACSC/APF), which was established in 2005 in Kuala Lumpur. Its constituents consist of the following groups: workers, the peasantry, urban poor, fisherfolk, women, youth and children, the LGBT community, indigenous peoples, migrants, older persons, employees, professionals, students and persons with disabilities. Among its thematic priorities are human rights, social protection, foreign policies, trade and investments, labor and migration, social inequality, peace and security, food sovereignty, women, gender and LGBT rights, and climate justice. Throughout its eleven years of engagement with ASEAN, the ACSC/APF has focused on organizing national consultations and workshops, national and regional meetings with government counterparts, regional consultative meetings, crafting the ACSC/APF annual statement, holding parallel conferences with the ASEAN Summit, mass mobilization (rallies, etc. ), and an interface with ASEAN heads of state. The specific issues and concerns are as follows: inequitable free trade agreements, rampant land conversions and land grabbing, heightened militarization, pollution, disasters, migration, feminization of informal sectors, high-skilled and low-skilled divide among migrant workers, internal conflicts and displacement, absence of a genuine agrarian reform and land deconcentration, agro-ecology, neglect of agriculture, gender inequality and disempowerment of women, lack of universal health care, poor access to education, power and water issues, homophobia and misogyny, trafficking of persons, and marginalization of the informal sector. High expectations for people‘s participation in ASEAN, encouraged by the promise of ‘a people-oriented ASEAN‘ and the hope of approximating established practice at the UN system, are thus not met, leading to frustration amongst those in civil society who have chosen to engage ASEAN at various levels. Civil society views ASEAN’s openness to participation as very crucial. But the level of commitment of ASEAN is perceived to be only on the level of rhetoric, and not as intentional, owing to the fact that enabling environments are not present to facilitate people‘s participation. Accordingly, ACSC/APF must now think and act outside the ASEAN box. It must develop strategies of engagement that go beyond mere assertions of its independence and autonomy from state agenda. It should lead the way and initiate the process of establishing a regional integration model that offers an alternative to the existing ASEAN process, one that is based on people-to-people interactions rather than state-to-state relations or purely market-oriented interactions. This is the way to overcome the frustration and vexation felt by CSOs at the lack of response and action by ASEAN governments towards ACSC/APF concerns. Above anything else, we need to understand several premises that underpin the need for new directions and new strategies for Southeast Asian civil society groups and movements. The first is to make a distinction between Southeast Asia as a geographic region and its peoples, diverse cultures and histories, on one hand, and ASEAN as a regional organization locked in a market-centered and state-supported process with a particular ideology and strategy of development that marginalizes and disempowers its people. Secondly, ASEAN’s guiding mantra framework of “profits before people” and unbridled economic growth have only further widened the gap between the rich and the poor within and between countries, and have caused unparalleled damage to the environment. Thirdly, ASEAN’s adherence to the 17th century Westphalian state model which emphasizes absolute sovereignty and unrestricted territorial integrity is no longer relevant in the age of 21st century globalization, where porous boundaries and labor migration patterns have created dual and sometimes multiple identities of peoples that transcend ethnic and cultural lines. Lastly, Southeast Asia is a much greater entity than what ASEAN currently encompasses. Various scholars have argued that the region should not be confined to the ten ASEAN member states nor the existing colonially-determined boundaries, but should include areas in other neighboring countries whose peoples bear similar cultural and ethnic characteristics as those who live in what is normally referred to as Southeast Asia. CSOs and people’s organizations must, therefore, work beyond the narrow boundaries of nation states, territorial demarcations, and ethnic distinctions. As a starting point, there is a need to acknowledge that Southeast Asian residents and communities, for many years and on their own, have been engaged in alternative, heterodox, and non-mainstream practices that encompass economic, political, and socio-cultural aspects. In some instances, people-to-people relations and networks for various purposes have also been set up. In the economic realm, these consist of people-to-people trade via the media of alter-trade organizations through producer and trading cooperatives with the view of reviving local markets and strengthening cooperation between farmers and consumers. These trading patterns are founded on the principles of fair trade and mutual exchange, and can take the form of counter-trade arrangements such as barter trade. On the production side, social enterprises, producer cooperatives and communities are engaged in exchange of sustainable food production technology such as organic family farming, agro-ecology, biodiversity, zero-waste production, and indigenous agronomic practices (e.g. seed breeding and production), that are environmentally and people-friendly while promoting productivity. In the power sector, bright prospects also exist for community-based renewable energy systems such as solar, wind, and biogas technologies. For housing, vernacular architecture forms utilizing indigenous forms and locally-sourced materials also exist. Politically, informal and formal networks of civil society organizations and social movements have been operating for decades on issues related to environmental issues, women’s rights, workers’ and human rights, human security, and many other concerns. Joint political advocacies for peasants’ rights, and their corresponding actions have been undertaken via mass mobilization during international gatherings as well as lobbying with states and multilateral organizations. Communities have engaged in local planning and practiced conflict settlement mechanisms. Social media has also been utilized extensively. It must be admitted, however, that these political practices have yet to fully come together and gel into a form of regional solidarity that sets aside national interests in favor of regional and international unities. On the cultural side, visual artists and other performers have been networking through regional events that showcase the richness, diversity, and historical depth of Southeast Asia’s creative arts. More significant, political and economic issues that are concerns of civil society groups are also highlighted and represented via these cultural interactions and presentations. While it has often lagged behind other aspects of society, culture is essential in lending a human and spiritual face to political and economic dimensions, and should therefore be nurtured and developed. In the social aspect, self-help groups have long existed and local networks have coordinated and shared their social protection activities on alternative health and education practices. If the above initiatives are already in effect, what would be the role of civil society and movement-based networks like ACSC/APF? The answer to this question lies in looking at what these popular initiatives lack or are deficient in. First, they are still largely disparate and somewhat disconnected. Many local and national groups are unaware of similar developments in neighboring societies, or if aware, are unable to reach out and connect with other groups and programs. Regional solidarity is based on groups and actions in countries being able to know each other, exchange information and knowledge, enhance their capabilities and expertise, and work together. This is a networking gap that needs to be strengthened and filled. Secondly, research and documentation and constant monitoring of these popular initiatives are also lacking. This is important in order to build a database of practices, examine each one, identify the best and model features, and point out the inadequacies and deficits. Thorough research and meticulous documentation are skills that grassroots organizations and practitioners pay less attention to. This is understandable, as their lives are taken up by the day-to-day demands of organizing, mobilizing of resources, and production. Research studies of this type will provide the service needed by grassroots organizations in order to further develop and scale-up their pioneering activities. This is the second gap that needs to be filled. Thirdly, these practices are generally viewed as marginal and confined to an insignificant section of society, some even being dubbed as “elitist.” At best, they remain at the pioneering stage with scarce attempts to scale up and advance to higher levels. Some of them eventually fold up and cease operations. The task, therefore, is to mainstream these innovative practices in order to challenge and eventually supplant the orthodox models of production, marketing, and distribution. To do so requires the coming and working together of grassroots organizations, local communities, civil society groups, and social movements in massive information and advocacy campaigns. This is the third gap to be filled. Fourthly, and probably most important of all, is making sense of everything that is taking place. Popular practices constitute a rich trove of empirical data that needs to be distilled, subjected to the rigorous test of comparisons, and finally, conceptualized and developed into a paradigm, a narrative, a framework, a theory, and a guide to action. This is a reflexive process, one that is continuous and never-ending . As human actions continually evolve and change and new practices emerge, so too must our concepts, perspectives, and philosophies change and evolve. This is the fourth and most crucial gap that needs to be filled. Establishing alternative regional structures that are decentralized and creative, where different tasks and responsibilities are distributed throughout the region and rotated regularly. The above strategy for a people-to-people regional integration does not preclude the continuation of engaging the official ASEAN process as before. This traditional form can continue in order to win concessions on specific issues and concerns and extend support for reform-minded government officials and personnel. 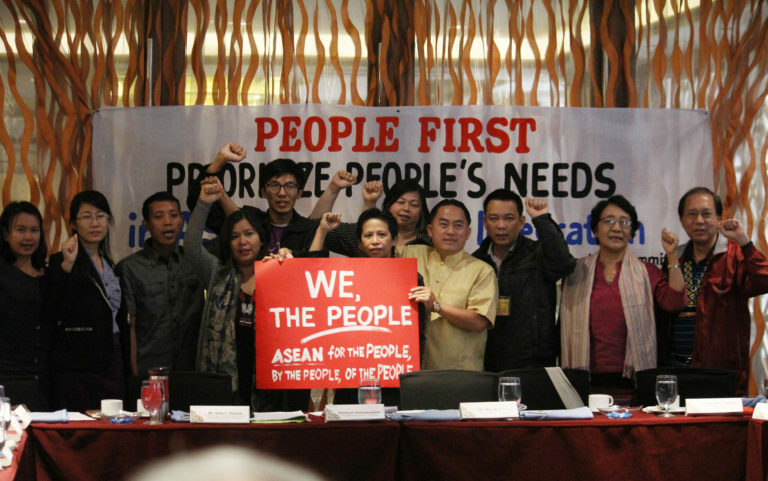 It will, however, no longer be the main focus of ACSC/APF as it makes use of its regional network’s members to work for a new integration of Southeast Asian civil society from the ground up. ACSC/APF must firm up and tighten its links and interconnections with grassroots initiatives, and the creative practices of real people struggling to carve a better and more dignified life for their families and communities. Admittedly, this will prove to be a long and difficult process and can only be implemented over the course of many years of hard work and dedicated commitment. But there is no alternative. ACSC/APF has to take up this challenge or continue to be mired in the old ways that have proven to be ineffective and counterproductive. This is in reference to the eight Northeast Indian states of Arunachal Pradesh, Assam, Manipur, Meghalaya, Mizoram, Nagaland, Sikkim, and Tripura and the Southwest Chinese provinces of Yunnan, Guizhou, Guangxi, and parts of Sichuan. Specific concerns include free trade agreements, land conversions and land grabbing, militarization, pollution, climate change, disasters, migration, feminization of the informal sector, the divide between high-skilled and low-skilled workers among migrants, internal conflicts and displacement, genuine agrarian reform, food sovereignty, agro-ecology, neglect of agriculture, gender equality and women’s empowerment, universal health care, access to education, power and water issues, homophobia and misogyny, trafficking, the informal sector, etc.